YOU SAY YOU WANT A REVOLUTION - The Rough Notes Company Inc.
“Pay it forward” … “Thank you for your service” … “Practice random acts of kindness” … we’ve all heard these and similar exhortations, and perhaps we’ve even tried to live by them. In a society where civility seems to take a back seat to being first, best, and loudest, most of us likely would welcome a little kindness. Welcome to The Kindness Revolution! Established in 2007 by Ed Horrell, author of a book by the same name, this nonprofit business membership organization seeks to raise awareness of values like kindness, dignity, and respect in leadership, customer service, schools, and communities. The entity is supported and funded by its members, who are called Community Champions. Support also is provided by Friends of The Kindness Revolution: individuals who join the organization because of its mission to restore civility in our society. Kindness Revolution® headquarters have been established in 350 cities, and the movement has spread worldwide. Just one exclusive partner is appointed in each community. 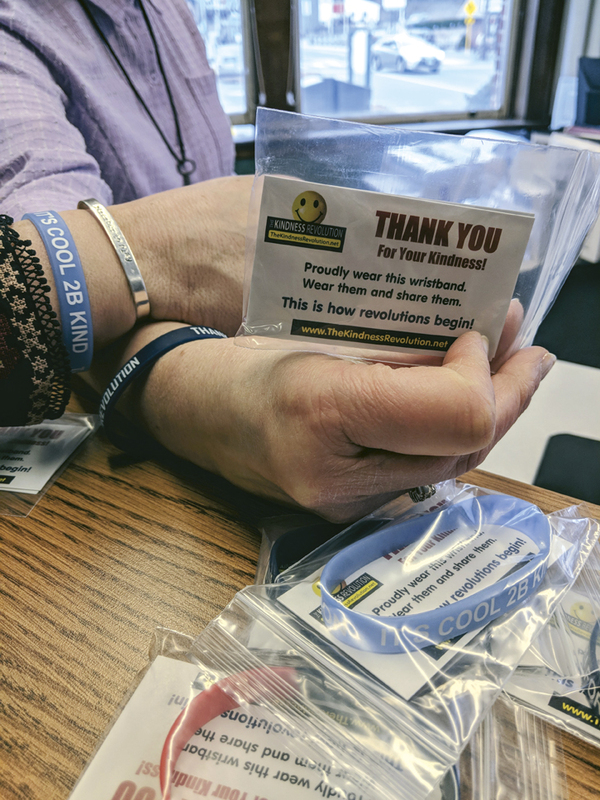 The organization sponsors Walks for Kindness and distributes wristbands that say “Pay It Forward” and “It’s Cool 2B Kind.” Kindness Revolution Radio provides weekly public service announcements that offer tips on how the audience can promote kindness at home, work, and school and in everyday situations. It’s safe to say that the general public tends not to hold insurance agents in high esteem, and few people are likely to associate them with the concept of kindness. Readers of Rough Notes know that publisher and president Walt Gdowski is deeply committed to honoring independent agencies that launch and support initiatives that make life better for people in the communities they serve. Each year since 2000, Gdowski has presented a check for $5,000 to the cause that is supported by the agency that has been chosen to receive the Rough Notes Community Service Award. Attendees at a banquet that celebrates this occasion often are brought to tears by the stories shared by winners of the award. One of those winners is Chris Paradiso, founder and owner of Paradiso Financial and Insurance Services in Stafford Springs, Connecticut. His agency, which was featured as the Rough Notes Marketing Agency of the Month in the August 2009 issue, in 2011 received the Community Service Award for its efforts on behalf of Connecticut Children’s Medical Center, whose dedicated professionals saved the life of Paradiso’s infant daughter. 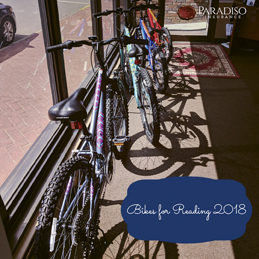 Paradiso, who serves on the Rough Notes Agent Editorial Advisory Board, is a frequent contributor of articles about using social media to acquire and retain clients. At each annual editorial board meeting he generously shares his knowledge of and experience with social media to help his fellow agents. Kindness is in the DNA of Paradiso and his employees, so it comes as no surprise that they’ve enthusiastically embraced The Kindness Revolution. 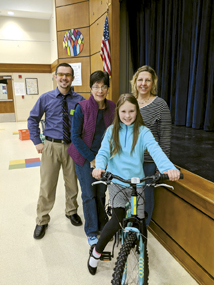 The agency chose to launch The Kindness Revolution during its Bikes for Reading initiative, in which students at Stafford Elementary School who read for at least 70 hours enter a raffle to win a bike. As noted earlier, the agency’s employees eagerly embraced its launch of a Kindness Revolution, and no one is more enthusiastic than receptionist Annie DaRos. “She’s really excited about it, which is great because she greets everyone at the door,” Paradiso says. 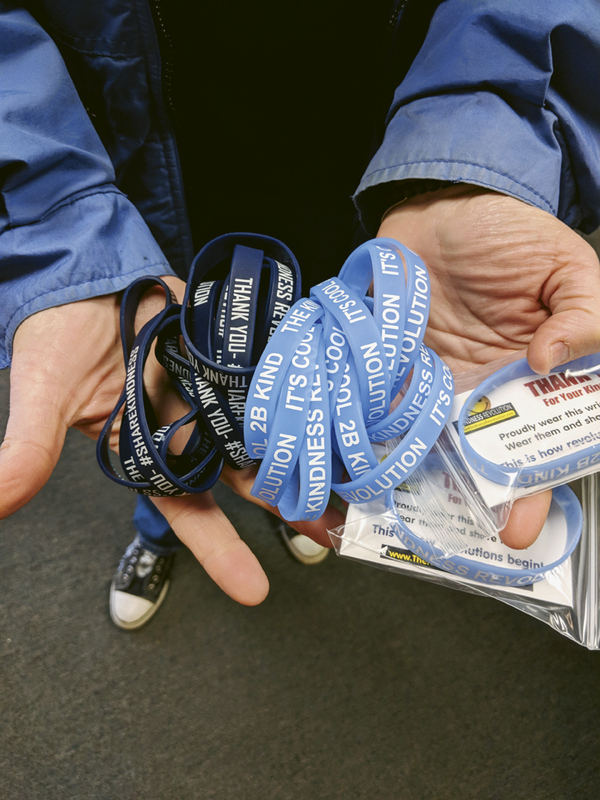 “Anytime she sees someone doing something kind, like a child holding the door open for his family, she gives him or her a wristband and explains that he or she needs to pay it forward. 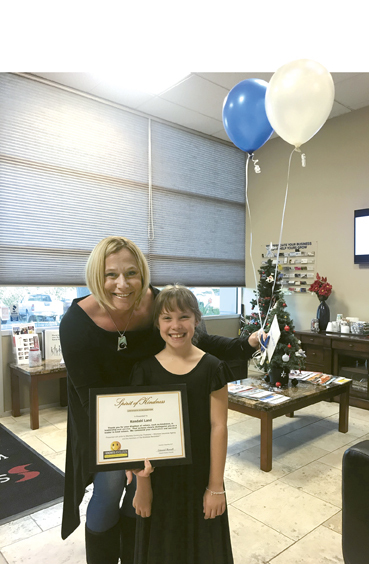 Another Rough Notes Agency of the Month (April 2016), Stromsoe Insurance Agency in Murrieta, California, also has embraced the mission and principles of The Kindness Revolution. Mike Stromsoe, president, says the agency found out about the program from Claudia McClain, whose McClain Insurance in Everett, Washington, was the 2014 Rough Notes Agency of the Year. 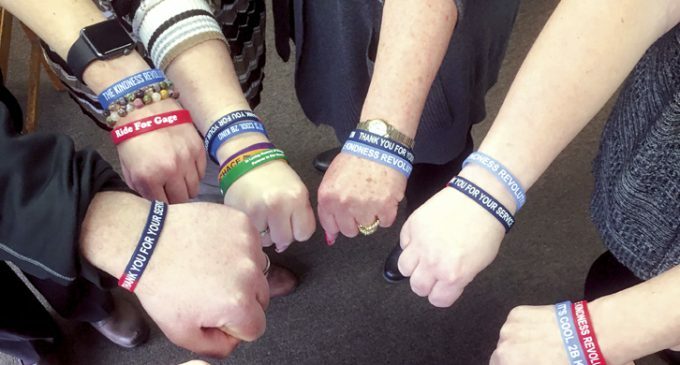 Like the Paradiso agency, Stromsoe Insurance decided to launch The Kindness Revolution in local schools. The agency’s employees didn’t have to be coaxed into participating in the initiative, Stromsoe says; right from the start they embraced the concept and understood its relevance to their own lives and the lives of their kids. “At a team meeting we discussed bullying at school and other issues that kids face today, including their own kids,” Stromsoe says. “At that point the discussion became personal, and the team was all in. They were excited about the opportunity to help raise awareness of kindness, leadership, and respect for others, both adults and children. Through the agency’s outreach to volunteers, Stromsoe says, “We became aware of Kendahl, an amazing young lady who participated in leadership programs and was truly going the extra mile to help students at her elementary school be kind to others, help their fellow students in need, and encourage students to be respectful of others. We decided that she would be our first Spirit of Kindness award recipient. We asked Chris Paradiso and Mike Stromsoe what advice they would offer to an agent who is considering launching The Kindness Revolution.